The C.A.M. Report » Blog Archive » Is there a role for milk thistle treatment of liver toxicity in leukemia? Is there a role for milk thistle treatment of liver toxicity in leukemia? Milk thistle is often used to treat chemotherapy-associated liver toxicity. Researchers from the US studied it in childhood acute lymphoblastic leukemia (ALL). 50 children with ALL and liver toxicity were randomly assigned to a treatment group for 28 days. Neither the researchers nor patients knew the treatment given — double blind. 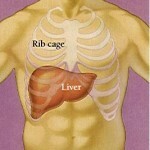 Liver function tests were evaluated during the study. Also, milk thistle was studied in the laboratory using ALL cells. There were no significant differences in the frequency of side effects, the incidence and severity of toxicities, or infections between groups. There were no significant changes in the liver enzymes amino alanine transferase (ALT), aspartate amino transferase (AST), or total bilirubin at Day 28. These data suggest no liver toxicity and no obstruction of bile flow. At Day 56, the milk thistle group had a significantly lower AST. There were no significantly different doses of chemotherapy between groups. No antagonistic interactions between milk thistle and the drugs vincristine (Oncovin) or L-asparaginase in human leukemic lymphoblasts cells. Modest synergy with vincristine was observed. The results of earlier studies suggest that milk thistle reduces liver damage caused by cirrhosis or ingested toxins. The next step, according to the authors, is to determine the most effective dose and duration of milk thistle therapy and its effect on survival in these patients. Actually, the next step should be to guarantee the contents of each tablet in each bottle of milk thistle sole in stores. This entry was posted on Tuesday, July 13th, 2010 at 4:27 PM	and is filed under Cancer, Children, Liver Disease, Milk Thistle. You can follow any responses to this entry through the RSS 2.0 feed. You can leave a response, or trackback from your own site.